Selling your home is an emotional experience. As much we as agents ask you to try and keep emotions out of the picture, it’s very hard for a home seller to just sweep their home and family history under a rug. Home sellers have a lot on their mind when thinking to sell their house. Not only do sellers have to find a new place to live, but they have the additional work and stress in selling their current home. However, most sellers tend to overvalue the price of their own home base on emotional factors, which most often does not match the current market conditions. Here are the most common questions real estate agents are asked by home sellers. For each question, I’ve provided guidance in how it relates to the Fort Lauderdale and South Florida real estate market. Question #1: How much is my house worth? A homes value is dependent upon many factors, location being the prime one. Many owners tend to inflate the value of their home before they meet with an agent. They may have seen a house down the street sell for a certain amount and assume their home is worth the same. A seller can get a true value of their home by requesting a Comparative Market Analysis from their prospective real estate agent, which will show the most recent 3-4 comparable sales (or “comps”) along with any adjustments to account for difference in square footage, quality of furnishings/fixtures, amenities such as a pool, etc. The seller may also hire a home appraiser to get a third party estimate of value of their home. The home appraiser will also use the comparable sales method, but is licensed to calculate the adjustments to match the target property. Once you have these numbers, you can discuss a realistic selling price for your home with your real estate agent. 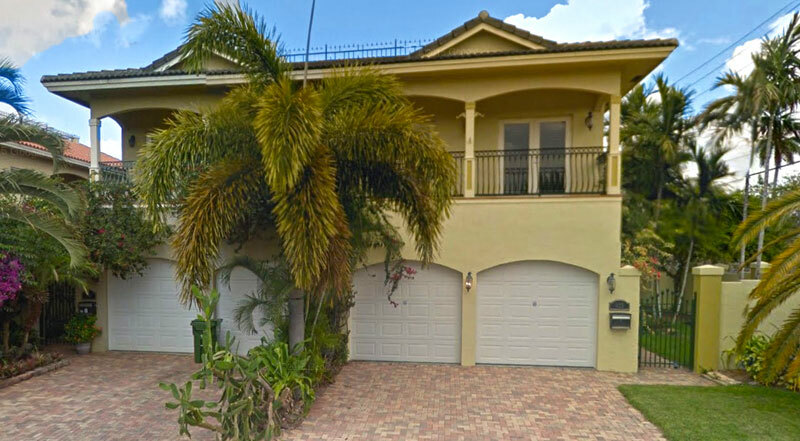 In South Florida, the same size and quality of house can have a large price difference based on location. Wilton Manors continues to exceed county market appreciation levels, so homes there are priced higher than a mile south in Fort Lauderdale. Condos on the beach are much more than same square footage west of I-95. Question #2: What should I do to the house before I put it on the market? This is one of the biggest stress factors for home sellers. Thinking about packing everything up, painting, fixing needed repairs, and possibly weeks of strangers coming into the home can make some home owners avoid selling their house at all. But in most cases there is much less to do. Having a real estate agent over the house will give you the best professional opinion on what needs to be done, in addition to extra projects. At the basic level, the home should have great curb appeal, be spacious and uncluttered, spotlessly clean, and free of personal belongings. Question #3: How long will it take to sell my home? Typically, homes in South Florida that are in good condition and are priced well are on the market for 60-90 days before closing. Many conditions affect this number, so even with everything “right” some homes can take longer. The most important factor is exposure to buyers. You want to make sure the real estate agent is using all the necessary marketing channels to advertise your home’s benefits over others in the market. The use of Virtual Open Houses, social media marketing, Google advertising are just some of the technology an agent has to sell your home quickly. Question #4: What is this going to cost? A very important question, as the answer could result in a seller waiting to list their property. In South Florida, the norm is that sellers pay all real estate commissions, typically 6% of purchase price. In addition, a home seller will be required to pay Broward County taxes on the sale of the house (called Documentary Stamp Tax) at a rate of 0.70 cents per $100 of value. In Miami-Dade County, the rate is 0.60 cents per $100. Those are the two major charges for a home seller in South Florida. Other charges will include the closing agent’s settlement fee (typically $500-$750), cost of an attorney, which is not required but recommended ($500-$750), and miscellaneous closing fees ($250-$500). In addition, property taxes will be split based on the closing date. The seller will either be providing the buyer a credit for taxes for the period the sellers own the home, or if it’s late in the year and the sellers have paid their property taxes, the seller may see a credit on their side of the closing for the period they no longer own the home. In South Florida, this is a rare occurrence as our property taxes are paid in arrears and the tax bills do not come out until November of the taxable year. So a seller would have to pay the tax bill as soon as it received and close on the sale of the house by December 31st of that year to see proportional taxes returned at closing. Question #5: Is staging my house important? FACT: Homes that are staged sell 88% faster and for 20% more than a home that is not staged. The reason is because it gives buyers a visual floorpan that they can then work their furnishings into. They may see a furniture placement they haven’t thought of before, and how perfect their furniture will look. A professional stager will advise on neutral paint colors, putting items in storage, possibly working with your own furniture, or brining in leased furniture to help the home sell fast and for top dollar. Question #6: Can I be present when buyers preview my house? Absolutely not. This is the single most negative comment agents get from buyers when previewing a home. It just makes them uncomfortable and any negative comments can be taken as offensive. If you are present in the house, the homeowner’s can feel like it’s their home. If a seller is concerned over specific items in the home getting damaged, they should be removed and put into storage. A seller can also request that their real estate agent be present at every showing to insure safety and security of the homeowner’s belongings.